Immerse yourself in a new world of wellness! An area of over 1,000 m2 will welcome and wrap you in a subdued atmosphere where you can regenerate body and mind thanks to areas dedicated to profound wellbeing. A dip in the large heated salt water swimming pool can be the beginning of a moment for yourself where to indulge and find the harmony stolen by stress and everyday life. In the area, you can enjoy the benefits of a Finnish sauna, Turkish steam bath, a fitness trail and a salt cave. In addition to these, you’ll find: a Royal Private SPA, a gym and booths dedicated to personalized treatments. A selection of treatments signed Chervò Golf San Vigilio for a break filled with beauty and complete remise en forme. 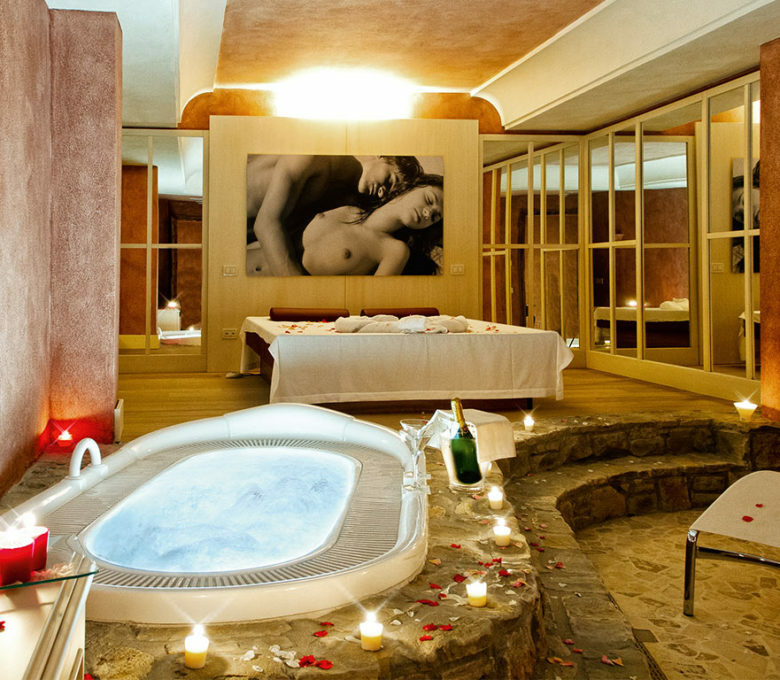 Royal Privè SPA "Exclusive Intimacy", an exclusive area and exclusive packages reserved for couples.